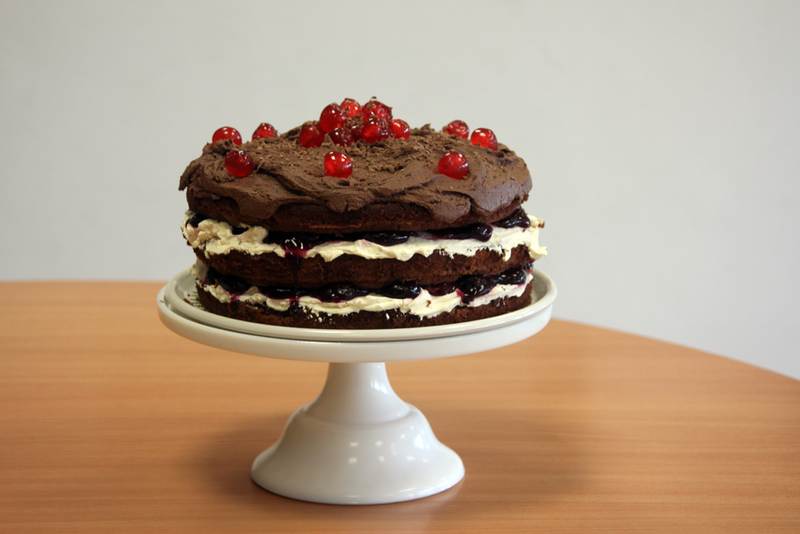 yesterday I made this delicious black forest cake for a friend’s birthday (alot of those in April!!). 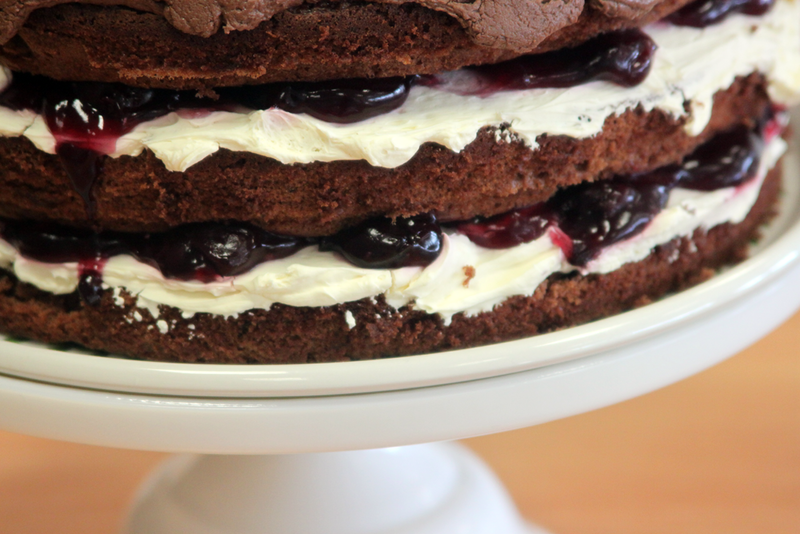 Her favourite cake is black forest and feeling inspired by my chocolate cherry cupcakes I decided to give it a go!! 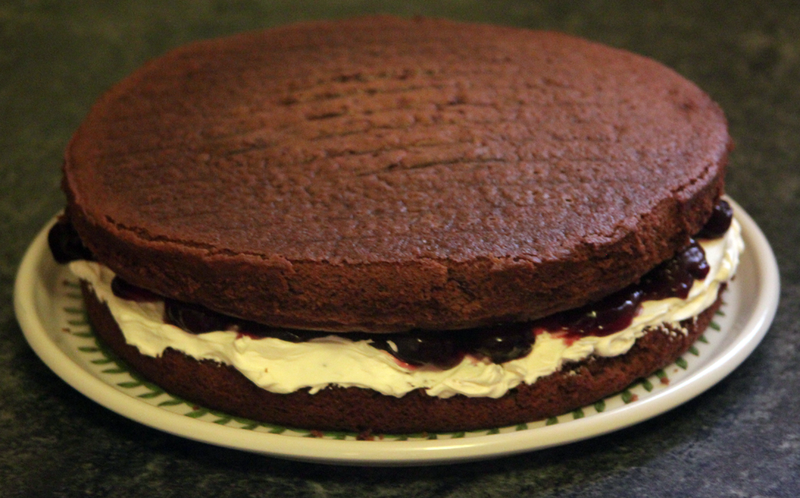 The recipe I used was the Hummingbird Bakery chocolate cupcake recipe (doubled for a 3 layer cake). 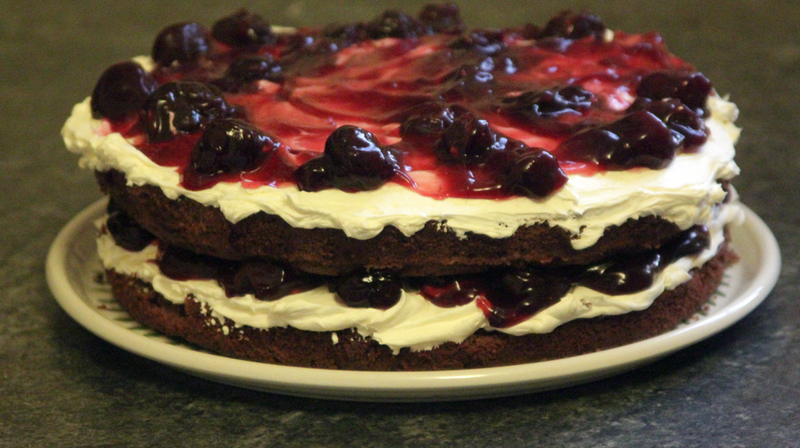 Then just layered with whipped double cream and cherry pie filling. 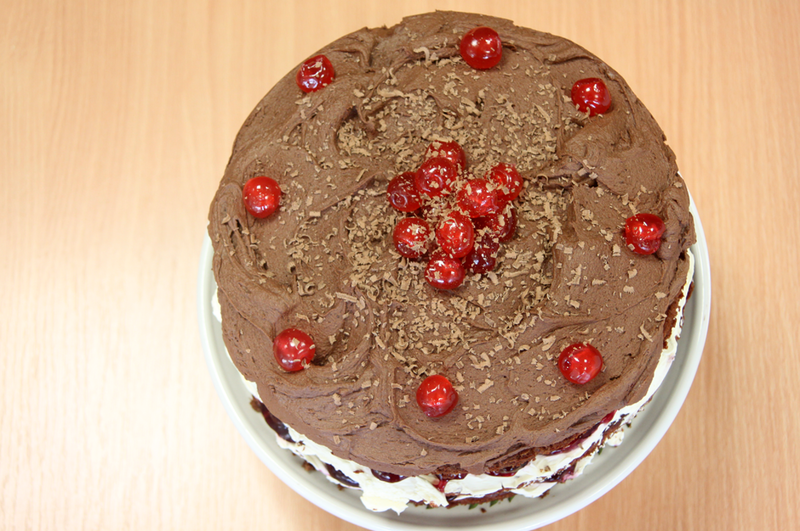 I covered the top layer with chocolate butter cream and decorated with glacé cherries and grated dark chocolate! 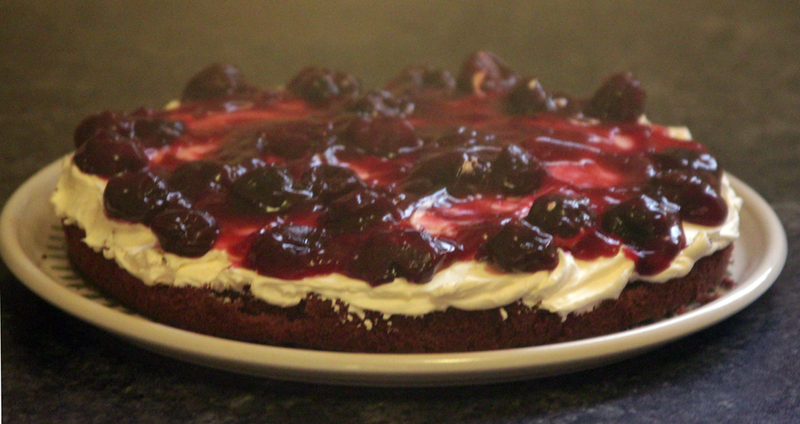 Real black forest cake should actually have Kirsch too (mine didn’t!). It turned out rather beautiful no?! 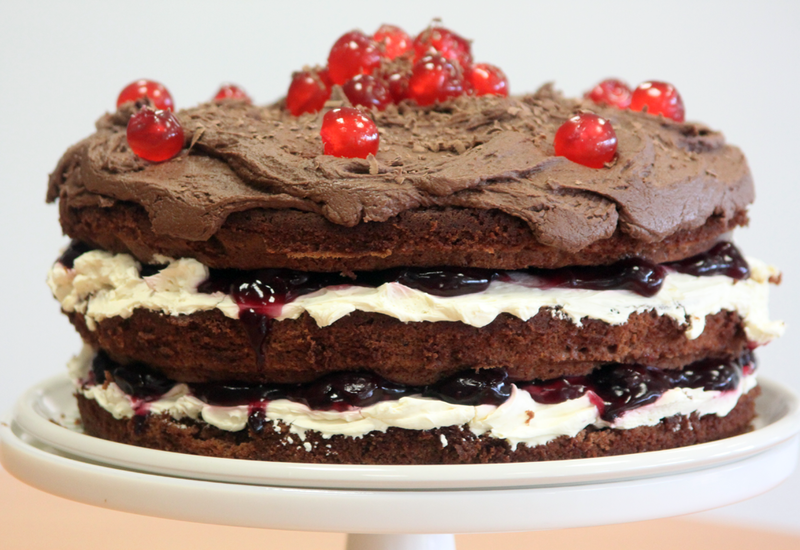 This entry was posted in baking and tagged baking, black forest cake, buttercream, cakes, cherries, cherry, chocolate, homemade, hummingbird bakery. Bookmark the permalink. Wow Jules! What a luxurious Gateaux! I have to make one for John (Brian’s dad) next week for his birthday as it’s his favorite. This year I’m gonna try Rachel Khoos Blackforest Bowls. She makes choc bowls using balloons! Such fun!